So, you’ve decided that you want to get a new vehicle and you know that at the end of your agreement you want to own it? Hire Purchase might be just what you’ve been looking for. A Hire Purchase (HP) is actually considered a finance agreement, not a lease in the traditional sense. The main difference between HP and something like a Contract Hire lease, for example, would be that at the end of the contract you own the vehicle outright. In layman’s terms, a HP agreement involves making fixed monthly payments for between 1 and 5 years. Once the final payment has been made, the vehicle is yours. Think of it more like a loan you’re paying back, rather than renting a car for that time period. HOW IS A HIRE PURCHASE PRICE DETERMINED? Hire Purchase is calculated by taking the full price of the vehicle, then deducting any deposit you decide you would like to pay and any balloon payment decided on. The remaining cost is then split into the number of months the contract will last for (usually between 12 or 60 months). This total is then your monthly payment. If you need more information we can help. 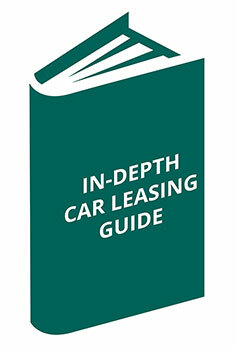 Download our guide to Hire Purchase.